Would You Like To Take Your Photography To A New Level Of Creativity? Would You Like To Simplify Your Post-production Workflow? 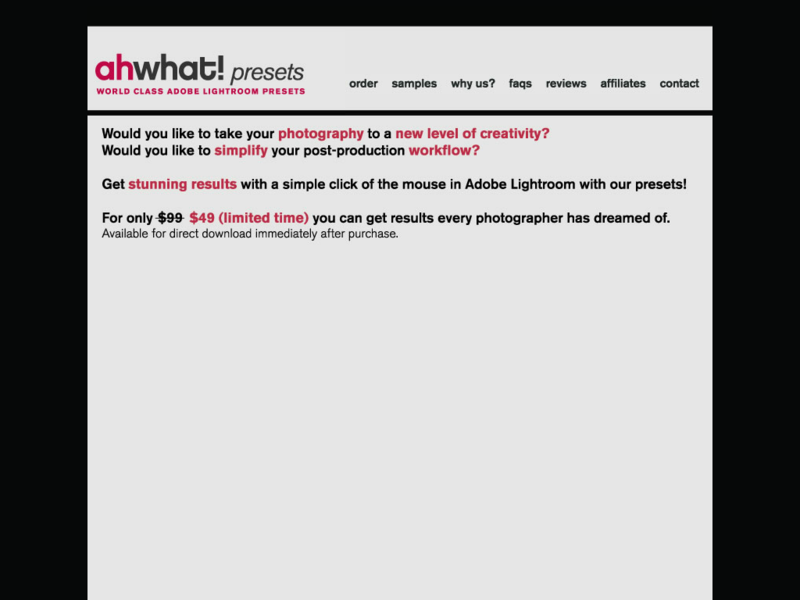 Get Stunning Results With A Simple Click Of The Mouse In Adobe Lightroom With Ahwhat! Presets!